Every phase since the advent of the industrial revolution - from the fate of the British Empire, to the global challenges from Germany, Japan and Russia, to America’s emergence as a sole superpower, to the Arab Spring, to the long-term decline of economic growth that started with Japan and has now spread to Europe, to China’s meteoric economy, to Brexit and the presidency of Donald Trump - can be explained better when we appreciate the meaning of demographic change across the world. 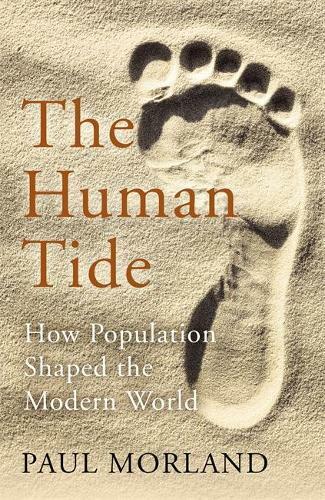 The Human Tide is the first popular history book to redress the underestimated influence of population as a crucial factor in almost all of the major global shifts and events of the last two centuries - revealing how such events are connected by the invisible mutually catalysing forces of population. This highly original history offers a brilliant and simple unifying theory for our understanding the last two hundred years: the power of sheer numbers. An ambitious, original, magisterial history of modernity, it taps into prominent preoccupations of our day and will transform our perception of history for many years to come.